Join us as we celebrate 20 years of healing the land and building community! Find a Volunteer Event and sign up. You’ll have fun, meet new friends, and help restore Colorado’s wild places around the northern Front Range, up in the high country, out on the Western Slope, and beyond. Everyone is welcome. No experience necessary. We can show you how to plant willows, build a trail, pull weeds, gather or scatter native seeds, spread mulch, chop down trees, and much more. You can also volunteer in our fun-loving office or at an outreach event. Check out our FAQ, or contact us at info@wlrv.org or 303-543-1411 and press “1” for general info. 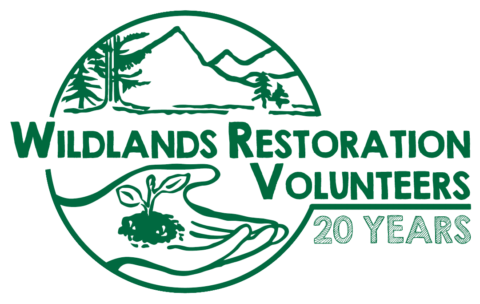 Learn leadership and restoration skills as part of your WRV volunteer experience. Find a Training and sign up for it. Read more about our leadership program. Want to share your enthusiasm about our mission and values with the wider community, and help us to educate and recruit more fabulous volunteers? Help us raise awareness about the amazing work we do – sign up for one of our upcoming outreach events!